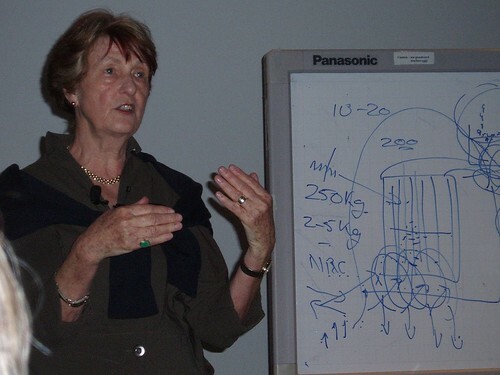 In this episode, Dr. Caldicott, pediatrican, author, anti-nuclear educator and host of If You Love This Planet, delivers a speech to medical colleagues at Oakland Children’s Hospital, California, in 2006. She covers the health effects of nuclear radiation from power plants and nuclear bombs, and urges doctors and nurses to become involved in addressing the multitude of environmental threats facing the earth. This entry was posted on Monday, April 12th, 2010 at 12:00 am	and is filed under Uncategorized. You can follow any responses to this entry through the RSS 2.0 feed. Both comments and pings are currently closed.